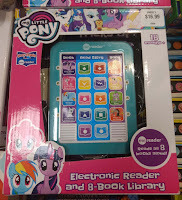 After a short break we're back with another store finds post! We've got plenty of new finds for you, ranging from a new magazine figure to brushables and even a face mask. 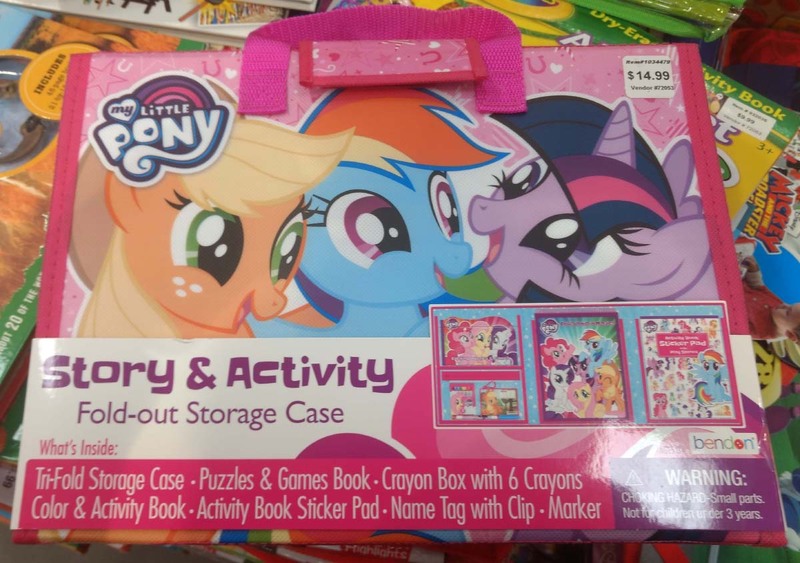 Stuff is mainly from the US, but from South America, Europe and Asia too. 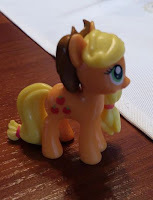 Over in Poland a new magazine arrived, featuring a brand new version of the Applejack figure! She's got a new eye design and most importantly: her iconic brown hat! 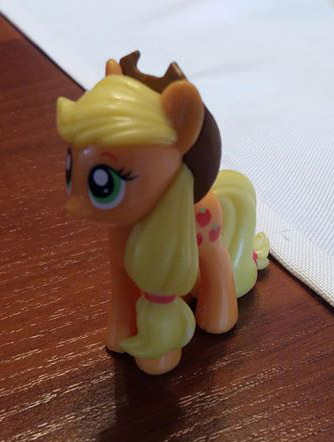 Lately we're seeing a trend in AJ merch that includes her hat, which is hopefully here to stay! We've had some small reports of wave 23 & 24 blind bags in the US, but now we finally got a photo to go along! 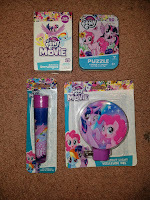 These wave 23 figures were found at Kroger, but stores like Toys"R"Us already stocked up on the wave 24 figures too. 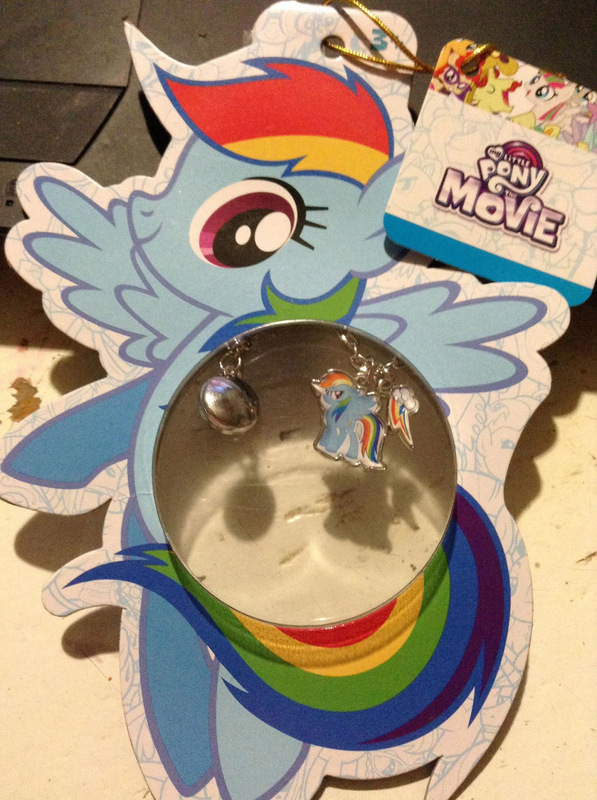 A relatively small necklace was found at Dollarama ($1.50) with a metal design and Rainbow Dash pony and cutie mark charms. 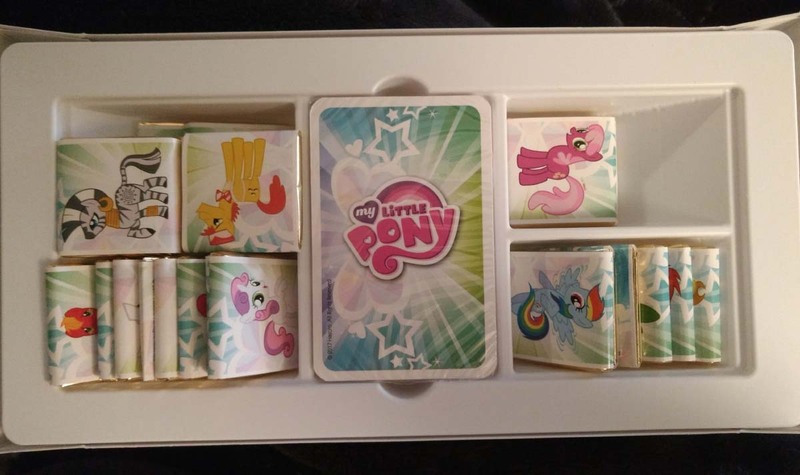 The box looks pretty too! 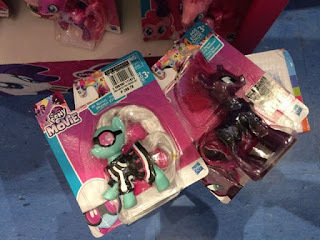 The wave 4 single brushables of Photo Finish and Tempest Shadow from the MLP the Movie line were just found in The Philippines at Toy Kingdom. Availability of this wave, that also includes Fluttershy and Rarity, is expected to arrive soon in more countries. 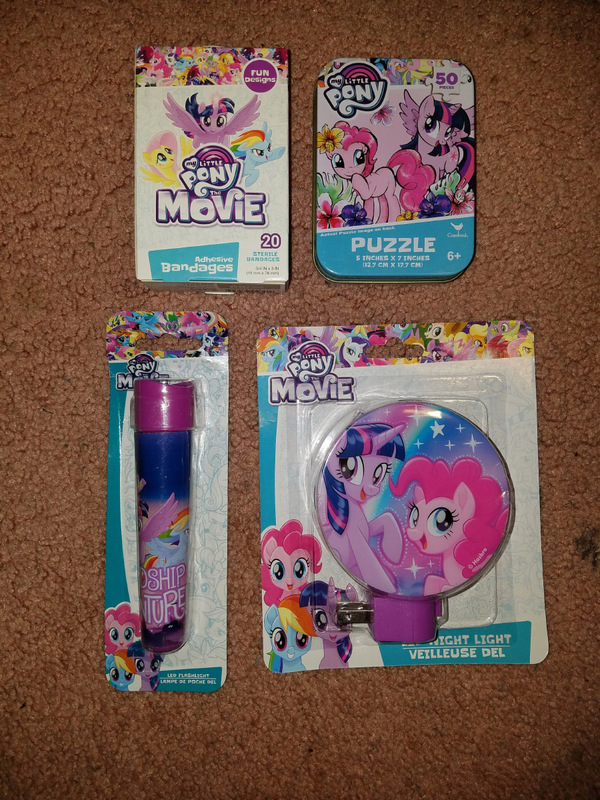 Various random items can be found at Dollar Tree now: a large packs of tissues, bandages, a puzzle tin, flashlight and a night light (which I think we already covered). 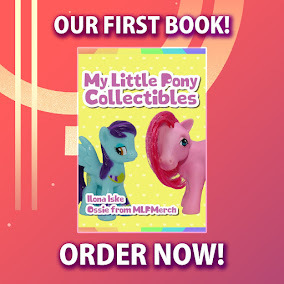 Not sure if everything at Dollar Tree is just $1, but I would expect some to be a bit pricier than that. 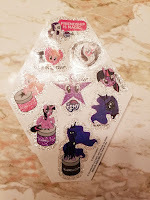 Ever since MLP the Movie, Hasbro loves to get partnership with cosmetic brands for My Little Pony, and as of this week a new collaboration is part of this ever growing list. 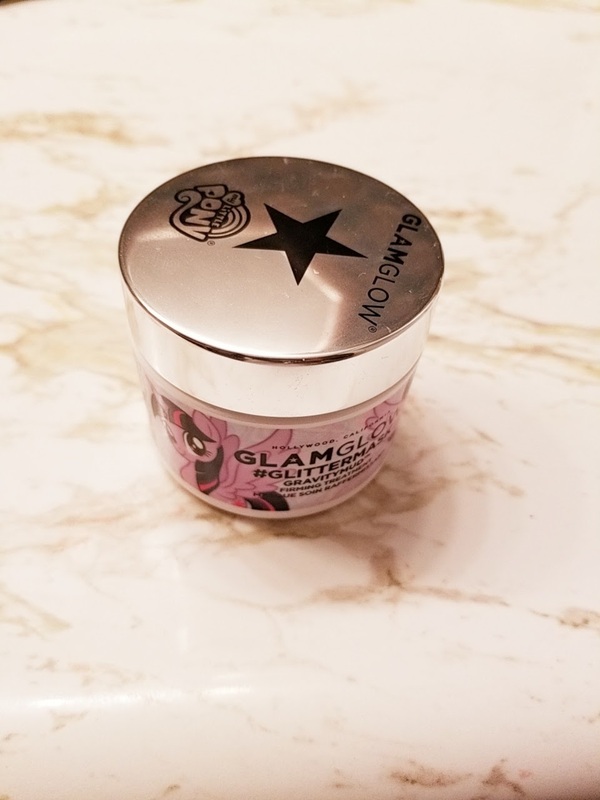 GlamGlow has released a special My Little Pony face mask with applicator and glitter stickers. It can be found at Sephora for the price of $59.00. 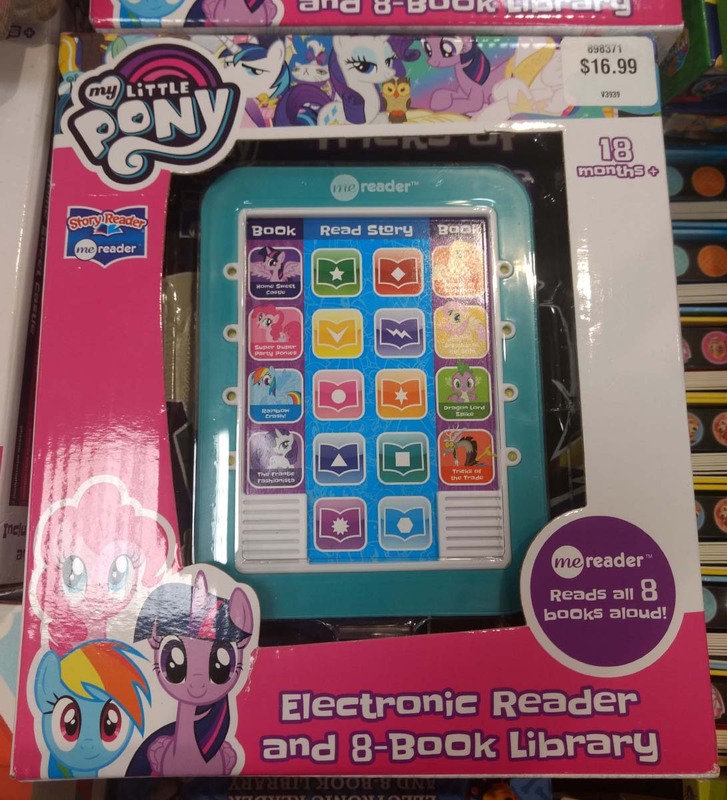 The case and electronic reader (shown above) were found at Costco and the memory + chocolates box (shown below)are from 5 Below. And last but not least we have an update from Argentina about new surprise eggs and gift eggs that were released around Easter (sorry for the delay on this news). 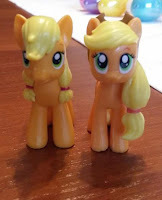 The figures in the surprise eggs are a bit like the Squishy Pops: small, squishy figures with suction cups underneath. 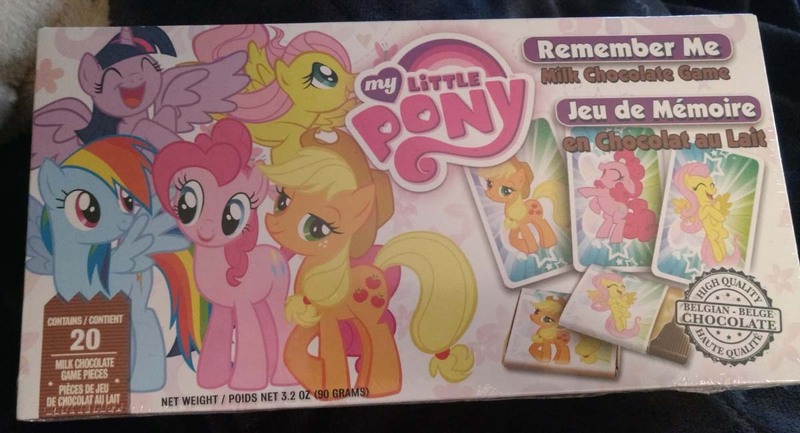 The set only includes the mane 6, so you probably won't need to eat yourself sick to get the complete set (trust me, we have experience with this). Yes, everything at Dollar Tree is $1. 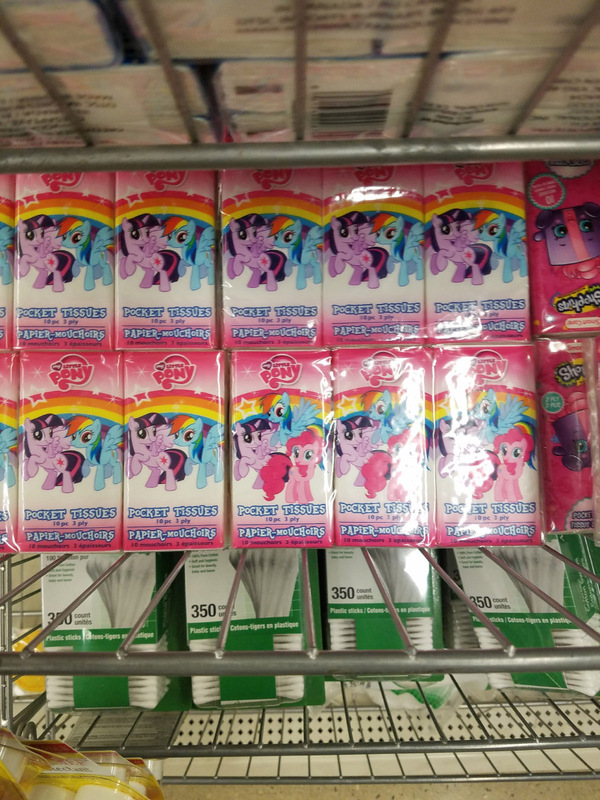 I still hear people confused when they walk into Dollar Tree and have to ask where all the prices are. Finally they start adding applejacks hat to the applejack dolls ! 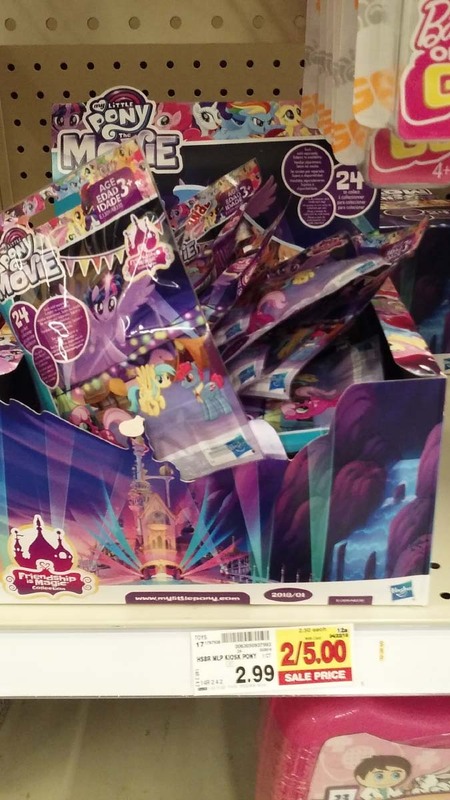 Finally some news about the wave 23 blind bags being in stores! Any finds in MI? 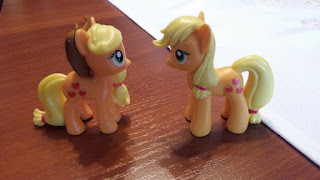 The latest MLP movie brushables have been available in Finland for a while, some weeks.